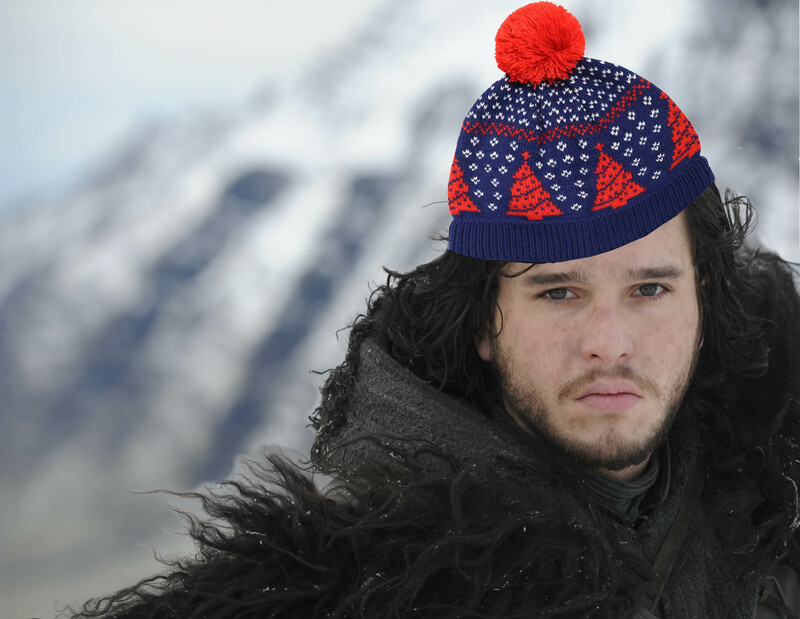 WINTER IS COMING… (starting this weekend) – balance, baby! How to ‘survive winter’. Saving wintertime and energy: it’s all about your hormones, immune system, thermostat, food, exercise, sleep and (sun)light. So lets keep our cortisol and melatonin levels, immune system and our spirits up, keep the cold and viruses out, and the health, diet and workouts in! Cortisol is a hormone that wakes you up: it should start out with high levels in the morning (around 8 am) and slowly go down through the day, being replaced by rising of the hormone melatonin. In the evening the melatonin peaks around 8-10 pm to put you to sleep, while the cortisol is slowly building up to wake you up for the next morning. In short: cortisol wakes you up and melatonin makes you sleepy. Too much cortisol makes you stressed. Too much melatonin makes you drowsy. When your hormones are out of balance, you get stressed, overwhelmed and feel down. Even though the time change is just an hour, our body clock and the hormonal system can get a bit confused, out of balance and make you feel crappy. So it’s good to help the body out a bit and keep the hormonal confusion to a minimum. Well I don’t think I have to explain what the immune system does, but fact is that an hormonal imbalance doesn’t do it any good. Together with the change of temperature, the wet and windy weather and being in warm damp places packed with coughing people (shops, pubs, canteens, etc), our immune system will have to work harder to keep us healthy. So many things can harm your immune system. Its all the stuff that makes us tired (not enough rest, too much stress) and makes us put on weight (too much of certain foods, not enough exercise). The cold itself doesn’t actually harm the immune system directly. It’s not why we get sick. But it does make the body work harder to keep our temperature stable; that takes energy. Together with mall nutrition, lack of rest and too much stress it will cause your immune system to get weaker with a higher chance of catching a cold or worse: the flu. –Bedtime: try to go to bed half an hour earlier today. 45 minutes earlier tomorrow. If you’re going to have a late night this weekend (I am), try not to sleep in too long (max. 8 hours sleep) and open the curtain of the bedroomwindow a bit to let daylight in in the morning. It will influence your body clock even while sleeping. –Daylight: try to get as much as possible while you can. Maybe do some more running and outside walks than usual (morning walks are proven to be more beneficent to the immune system compared to evening walks). 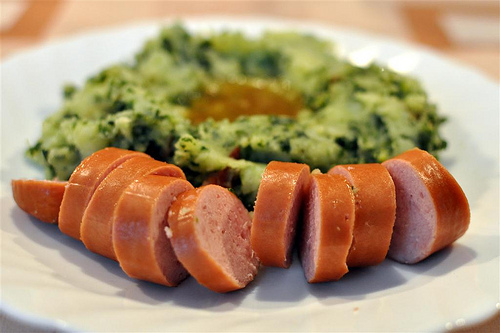 ‘Boerenkool met worst’; a traditional Dutch winter meal. It contains potatoes, kale, bacon and smoked sausage. –Diet: stick to slow carbs. We tend to eat heavier in wintertime. It seems to make sense: a good heavy meal will keep you warm with more energy (but thats not true). The Dutch suddenly go nuts peeling potatoes for all the potato-and-sausage dishes during the winter. These typical Dutch winter meals were important in a time where most of us were farmers (hard work outside), without central heating, hot baths and comfy cars. 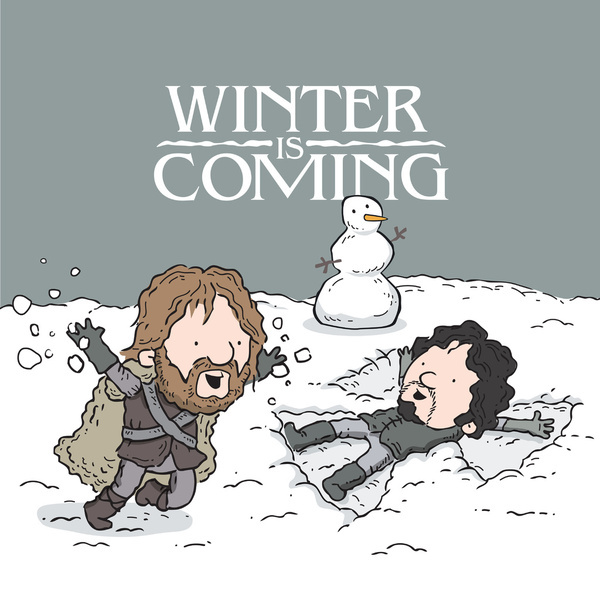 Wintertime meant a lack of food. But a lot of potatoes. So we just eat what we had or could afford. And we needed all those carbs to burn and an extra layer of fat to keep us from freezing and starvation (in case of having a long winter and running out of food). We don’t work and live in those circumstances anymore. So also in winter, stick to the low cals and slow carbs (sweet potato, beans, unpolished rice, etc). They actually give you longer lasting energy. Heavy meals only make you more tired! –Fat; ditch the bad and fill up on the good. The immune system benefits a lot if you avoid ‘bad’ fats (animal fats, sunflower oil, chocolate, etc). Avocado, nuts, dark chocolate (with at least 75% cocoa) and ‘fatty fish’ are good fats though (power food) and have added nutritional value. These fats are good for the immune system! –Fruit; Banana’s. Banana’s and figs are the best fruits to drain lactic acids from our muscles. These acids are created during strenuous exercise (aka weightlifting ; ) ); when the oxygen and energy levels run down, we produce lactic acid. It’s a reason why we get muscle-pains after work outs (and a reason why lifters drink protein shakes. Banana’s and figs have part of the same beneficent nutrients ). Lactic acid lowers the working of our immune system. –Warm up: to the core, at least once a day for 15 minutes. That means a hot bath, sauna, etc. This is a great time to try out Hot Yoga/Pilates classes! It keeps your muscles healthy and happy (they don’t like the cold either) and gives your skin and ‘body thermostat’ a boost. –Work out! Exercise! It warms you up and keeps your blood flow going strong. Your cold toes and nose need it! –Wear a very warm coat: well of course. Most of us don’t like to shiver and freeze. Apart from that, you’re saving energy; less work for your body to keep warm. Running to walking sticks | balance, baby!